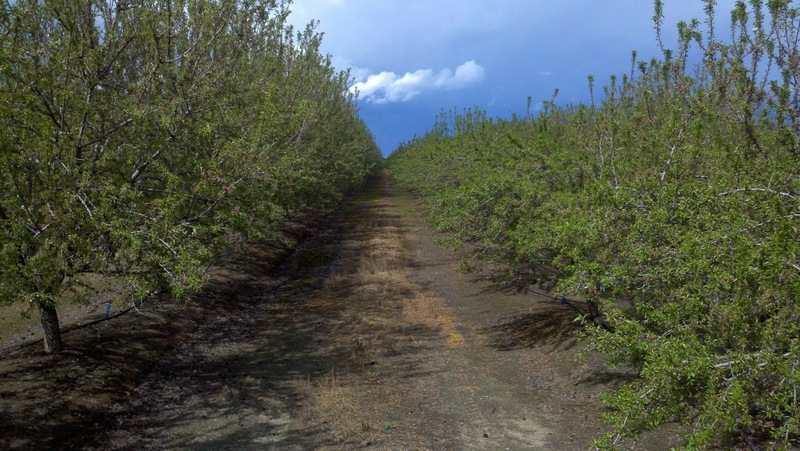 Kataru's love and pursuit of Farming: Jacket split phase of almond growth.. So, a newly formed baby almond tears off its jacket and throws it on the orchard floor. Because the jacket doesn't fit it any more and it's too hot anyway. That's jacket split. 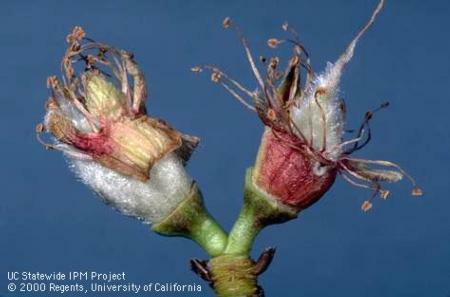 Once an almond flower is fertilized (thanks to the bees), ovary enlarges and it splits the floral tube (jacket) and nutlet emerges. This tiny nutlet will grow into a nice mature almond fruit later on. This nutlet will break completely free of its protective jacket due to warm dry conditions. Please click on the following picture so you can clearly see the jackets and nutlets on the trees. 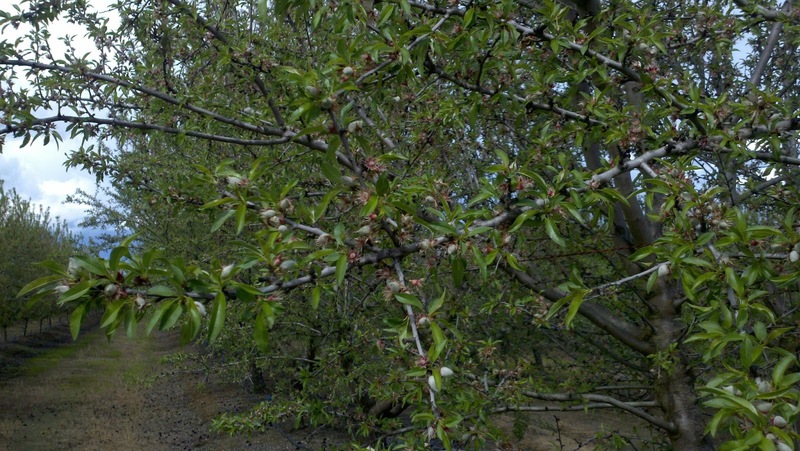 However, if wet weather persists, jacket could continue to stick to the fruit and could be colonized by fungi and such. That would be a problem, for sure! It's called jacket rot.